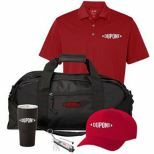 Promotional Corporate Holiday Gifts The Christmas holiday season is a time when millions of companies give an imprinted gift to their customers and employees, using the occasion to say “Thank You”. However, in addition to giving a gift they all want to make sure that they are remembered for giving the gift and to use the gift as a way of tastefully keeping their names in front of their customers. The imprinting of your name on a promotional holiday gift should be done with subtlety and style in order to increase the perceived value of the gesture as well as that of the gift. 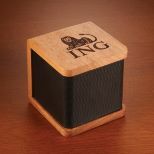 Here are some of the imprint methods that we recommend to give your promotional gif...More on Imprinted Corporate Gifts. The Christmas holiday season is a time when millions of companies give an imprinted gift to their customers and employees, using the occasion to say “Thank You”. However, in addition to giving a gift they all want to make sure that they are remembered for giving the gift and to use the gift as a way of tastefully keeping their names in front of their customers. The imprinting of your name on a promotional holiday gift should be done with subtlety and style in order to increase the perceived value of the gesture as well as that of the gift. Mirror Laser Engraving - New technology enables us to have your logo come through in a bright silver. This permanent imprint retains its luster. This adds a special touch to pens and key tags. 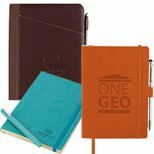 Blind Debossing - Your logo is stamped into leather and vinyl without foil or color. Your recipients will be pleased to carry their handsome gifts with your tastefully understated, but permanently inscribed logo. Embroidery - Adds a classic, permanent touch to wearables, bags, and blankets. 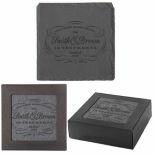 Deep Etching - Your crystal gifts will be treasured forever with a subtle, deep etched logo. Custom Molded Chocolate - Food is the universal feel good gift that everyone responds to. Your logo can be custom molded into chocolates. 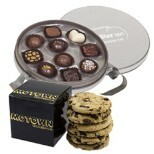 Pair the chocolates with a wood box or a tin so your insignia will remain as a reminder long after the food is consumed. Silk Screening - Many items can be tastefully silk screened with your PMS colors. Satin Etching - is a tone-on-tone screening that can look like laser engraving without the cost. 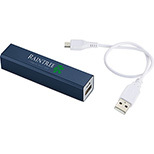 How to select the right promotional holiday gifts for your customers and/or employees. First, we will attempt to assist you in the gift selection process for your customers, as your client gifts are likely to be the same for every client or customer. Possibly you may have two or three tiers depending on the volume of business these clients generate for your firm. The first consideration in the selection process is whether the imprinted gift be for use in the office, home or outdoors. This factor may be determined in part by how close a relationship you have with your clients. If the relationship consists of frequent contact and a personal relationship with each client has been established, then a beautiful gift for the home might be the most effective choice. Our Home and Lifestyle collection features many elegant choices that will enhance your clients’ entertaining at home. 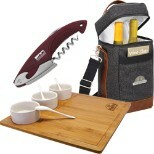 Upscale cork screws, wine decanters and food serving accessories are just a few of the options in this group. If your firm is an investment advisory company or brokerage house, the selection may be left to the individual advisors who may select products for the home or business environment. 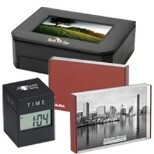 Elegant desk clocks, poker sets, digital photo frames, and upscale desk organizers are a few possible options for the business oriented gift. 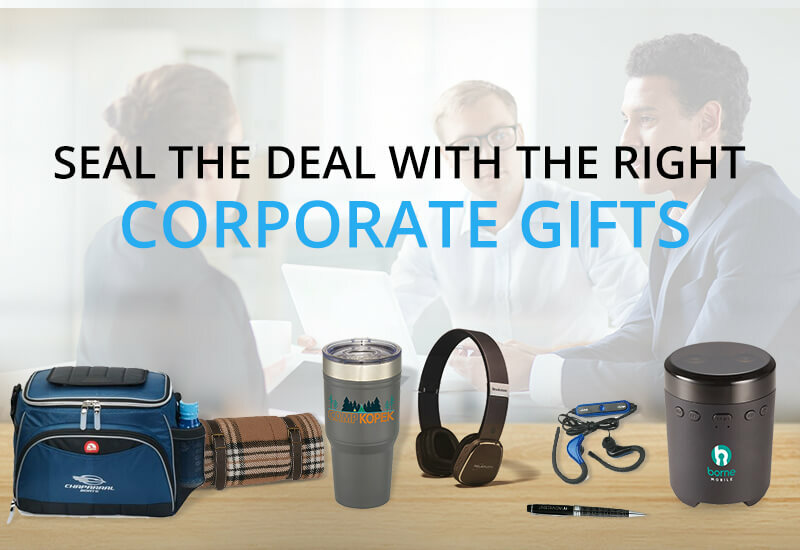 Promotional gifts for use in the office are more frequently given when the vendor/client relationship is more business based and you want to keep your name in front of your customers on a high repeat basis. 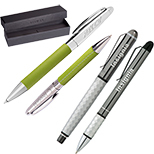 You can choose from writing instruments in various price ranges and styles as well desk accessories, briefcases, padfolios and hi tech imprinted computer accessories. Again, you have to know who your customers are and how the promotional item will relate to the product or service you provide. 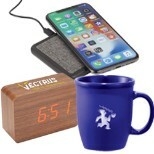 An information technology firm whether developing software or providing networking services will be best remembered and appreciated by a product chosen from our Hi-tech and computer accessories category. 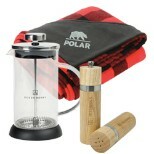 Gifts here range in price from five dollars to two hundred dollars. 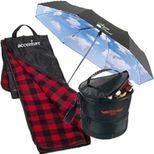 If many of your clients are women, be sure to check out our selection of gifts “Especially for Women”. 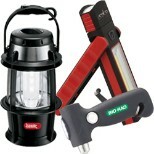 You’ll find a group of products that will make your shopping experience faster and more rewarding. 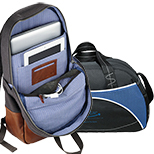 For international businesses with clients that travel frequently, we offer a wide selection of attractive, useful travel accessories, briefcases and travel bags that will be highly appreciated by your road warriors. 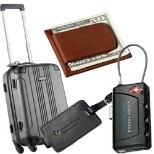 An attractive duffel bag or an up-to-date laptop briefcase will give you years of lasting good will. Holiday gifts for the office staff. There are many holiday gift giving situations that call for a gift that can be enjoyed by a whole team of people that may use your products or services. The category of gifts that works well in this situation is food gifts. Many of our selections come in jumbo sizes to be shared by the entire office and are thereby an effective way to build your image where it counts. So far, our discussion of the imprinted gift selection process has been geared to the corporate world. By far, the larger part of our economy consists of consumer spending and thus the multitude of business owners large and small that want to attract and retain consumers. Here the playing field is wide open, depending on the type of product or service you sell. 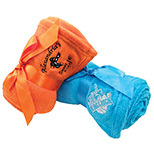 While an ice scraper may be a reasonable gift for a service station or chain of auto service centers, it will not do for fitness centers or beauty salons catering to primarily to women clients. Fear not, because at EmpirePromos we have imprinted gifts and promotional items in every price range for every possible type of business in America. Your imprinted gift should certainly have a price relationship to your individual customer’s “spend”. The gifts you choose for you employees will certainly depend on their income level and job classification. You will likely reward your managerial and marketing staff with a different type of gift than that you will give to those employees who work on the production floor. 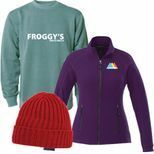 For your management team you may choose an upscale embroidered apparel gift yet you can’t afford to give the same to your warehouse or production staff. Our holiday gifts are also shown by price categories to help you find gifts for the various levels of employees in your company and the budget you have to work within. While browsing through our various gift categories remember that each product type is part of a much larger selection of similar products. 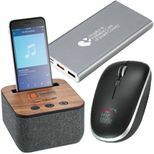 If you see a type of gift that you like but are not sure that it is exactly right for you, click on the link that says “Click here to view products similar to this one”. The link will take you to the entire collection of that product type on our site. If you still don’t find the perfect fit, call us at 1-877-477-6667 (1-877-4PROMOS) and one of our knowledgeable account reps can help you select the perfect gift that may not even be on our web site and recommend an imprint that will make a great impression. 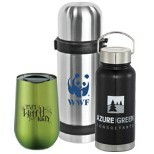 Whatever your budget, a promotional corporate gift should be a quality reflection of your company or organization. 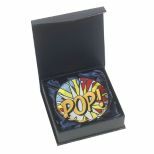 EmpirePromos has great gift ideas from under $3.00 to over $200.00. Remember, the imprint on a corporate gift should be prominent, but understated.